A well established company dealing with a leading brand of Japanese consumer durable goods requires services of Sales Officers for its Karachi & Lahore offices. Incumbent will be responsible for achieving sales growth and maintaining / establishing dynamic relationships with product dealers. Imam Clinic: Requires the following services; Nursing Supervisor positions: position available in Evening and night shifts. Minimum five years experience as staff supervisor and clinical experience. F.Sc/B.Sc minimum three years General Nursing diploma. A progressive Co-Educational School in a Purpose built Campus Located in Phase 8 DHA Requires A well qualified Female Doctor, Candidates must be fluent in English, Be computer literate and enjoy working with children, working hours are 8 am to 3 pm Monday to Friday. TABBA Heart Institute (invites application for Marketing Officer/ Executive preferably a Graduate/MBA with 2 years of marketing experience in a health care setup, must possess good interpersonal & communication skills and learning Aptitude must be able to meet challenges. A multi-national firm has openings for its Karachi Office. We are currently seeking 30 professional individuals for our-shore negotiations department. This department is responsible for recovery of medical bills. 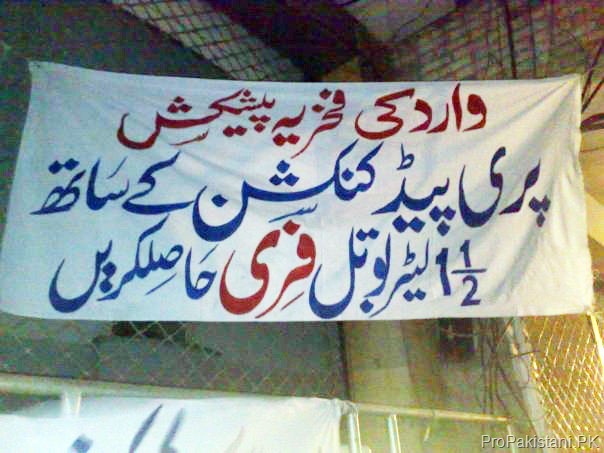 We know that Warid is hard trying to get it's sales going, especially at a time when they haven't launched any new package for ages now. They are also fearing Zong to take their slot in terms of number of subscribers, and hence the sales people are asked to put extra efforts to maintain their numbers high. In another news, after Sada Pulao Offer by Mobilink, Warid is up with this deal to offer a 1.5 liter cold drink with every new prepaid SIM to complete your meal. Maybe little offseason, as winter is almost here in Pakistan, but this deal can still be in the hot sellers for those who are looking to buy a new Warid SIM anyway. Just in case if you aren’t familiar with such offers, they are usually not officially endorsed by the companies. Thanks to Sehrish for sending us this pic, she tells "a random facebook page" as the source of picture. 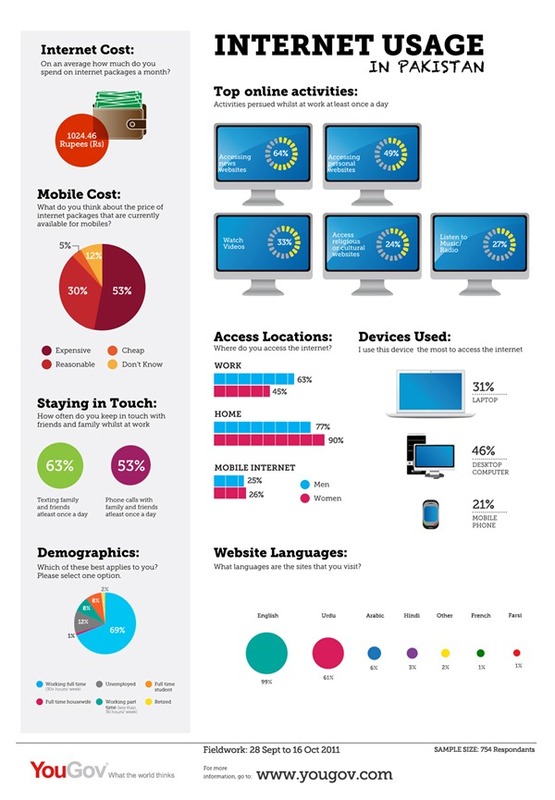 Today we got our hands on following infographic that details various vectors of internet usage in Pakistan. Based upon survey results, YouGov – a firm that provides statistical data for multiple regions – recently came up with an infographic on usage of Internet in Pakistan and India. I registered my website back in 2007 (www.justvb.net) to help fellow Visual Basic 6 Programmers. Later on, I decided to monetize it using Google's Adsense, and hence applied for the program. Those were simple days (as compared to today) and getting an AdSense approval wasn't hard, hence I got it with-in a week or so. Just in case if you don't know, today popular thinking amongst Pakistani bloggers is that one should wait at least six months before applying for Adsense. However, there are websites that get approval a lot earlier than that due to good quality and unique content. As the time passed, I was collecting regular payments from Adsense using Western Union quick cash retrieval method to receive my earnings. All of a sudden one day, I was unable to log into my Adsense account because it was disabled by Google. I got an email from Adsense team saying my account has been disabled due to invalid click activity. It further stated that all the money in my account will be returned to the advertisers, so all earnings gone. A quick search on Google revealed that my account was disabled because Google had evaluated that I was clicking on my own ads. Which of course I wasn't. Further investigation revealed that Google uses some declared and some undeclared methods to evaluate click activity. They examine IP address, time of click, duplicate clicks and a number of other click patterns to judge the validity of the clicks. Google does this at two levels. At first level Google claims that it analyzes clicks and impressions at real time from known sources of invalid click activity. And in addition to this automated process, Google claims to have a team deployed to examine the data when the system tags an Adsense account for invalid activity. If the system has tagged a click on your account as invalid then you will not get banned instantly but repeated offender account will be disabled in time. One sure sign of invalid click activity as pointed out by Google is that you will see a click in your Adsense account but no earnings in front of it in your report. Invalid click activity will bring down your daily earnings exponentially as compared to previous days. If you see both of these signs in your account then you have to move quickly and trace the specific user's IP which has caused the invalid click activity. If you have access to website logs directly then it will be easy to find the culprit's IP. In case you are tracking your blog using www.statcounter.com or similar website widget then you can also easily trace the IP by looking at the reports generated by such websites. Once you have identified the IP then you should report the IP and user agent details to Google. Google has a separate page where you can submit details of the suspicious activity in your Adsense account. In order to inflate one's earnings, some people do click on their own ads. Some use open proxies or other means to click on their own ads. Google can evaluate easily that you have clicked on your own ads and give you a penalty for it. Everyone today has friends and family with Internet access. Encouraging others to click on your ads seems a good idea but it isn't. Just consider that dodging Google isn't possible, in any manner. So just avoid clicking your own ads or even asking anyone to click on your ads. Just imagine the amount of resources they spend to track clicks – it's in millions, with plenty of team to take care of such things. So simple avoid it. Using automated scripts for clicking ads by using open proxies or changing user agent of your browser would also land you in hot waters with Google. A lot of PHP scripts can generate content for you by copying content available on other websites and publishing them for you. These type of blogs are not allowed to have Adsense. 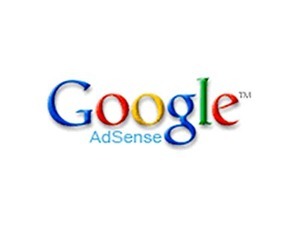 By default, when a user clicks on an Adsense ad, they are taken to the advertiser's page. Some people change the Adsense code so a new window is opened for the landing page. This and any kind of change in Adsense script is not allowed. Hiding or obscuring parts of Adsense ads. Some people try to trick users into believing that the Adsense ad is part of their content by hiding some parts of the visible ads. This is not allowed. A single page cannot have more than three Adsense units for content ads. Moreover, a maximum of three link units and two search boxes are allowed on a single page. A page without content cannot have Adsense ads. You cannot have Adsense ads on a page if it is blank, meaning there is no user content. The concern being that a user might think that ads are your website's content and click on them. One way of earning tremendous amount of money is to get paid traffic and have them land on your Adsense ads pages. Some users will click on the Adsense ads and you will earn money through it. But if caught, you will get banned. Stuffing keywords or bloating content using keywords. In order to influence what kind of ads are displayed, it is prohibited to stuff keywords in your content. People do this in order to get ads for keywords with high CPC (Cost Per Click). Google does not allow you to share its Adsense data publically, specifically CTR (Click Through Rate) and CPC (Cost Per Click). If you copy paste content from other websites and publish it as your own or without giving credit to the original author, then Adsense ads are not allowed on such websites. Some users place Adsense code into a popup to get more user attention. This is not allowed as per Adsense terms and conditions. Adsense publishers are not allowed to maintain more than one account under the same payee name. Adsense is not allowed on adult content websites. Placing ads on casino or gambling websites is a big 'No' for Adsense publishers. If your website promotes prohibited content such as drugs, weapons, cracking tools, cracks, hacking tools, hacks, alcohol, trojans, viruses, exploits etc then you are not allowed to use Adsense on such website. You being Adsense publisher cannot link your website to harmful websites e.g. containing illegal content, which spread malware etc. Adsense ads are not allowed to be used in email or newsletters. However, Adsense premium publishers can. Premium publishers are those which receive more than 5 million queries or 20 million content views per month. Another exception is, ads placed in emails through Adsense for feeds product which enables publishers to distribute content through emails. Some publishers hide an ad in the content in such a way that the user is tricked into clicking on ads. Now, we come to the point to discuss the status of Pakistani Bloggers. There could have been a number of reasons why Google blocked the accounts but one sure thing I found was that most of the content of Pakistani bloggers is copied from somewhere else. You can also check it yourself, just go to www.pakistanibloggers.net which shows a list of popular bloggers from Pakistan. Open any blog of the people mentioned there. Choose a blog post and select one line and copy it to Google it (by selecting any random complete sentence from the blog). Google search will show a number of websites with the same article with dates earlier than that of the blogger's post. 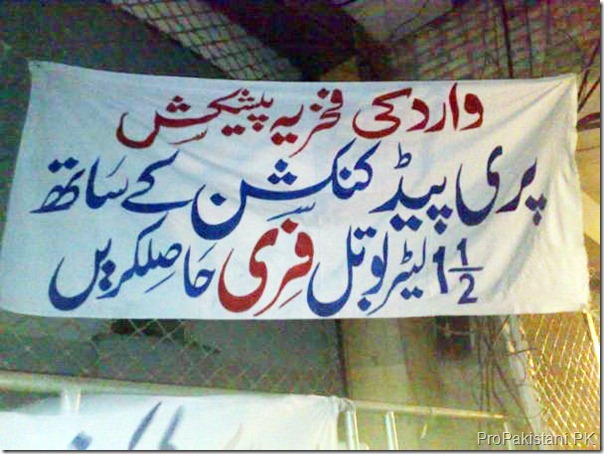 I am not claiming all of Pakistani bloggers steal content but more than 80% do, I believe. This is a violation of terms and conditions of Adsense. Google may allow copy/pasting for a while but as soon as someone complains to Google, your account will get blocked. In a nutshell, do no evil and you shall prevail. One of my friend got his AdSense request approved just today, which means that Google isn't shutting doors for Pakistan. All you need is to follow their terms and conditions, and that's it. How to Track Invalid Clicks to Safeguard Your Adsense Account? Universal Service Fund (USF) awarded a contract worth Rs. 59 Million to setup telemedicine networks around Rawalpindi, Karachi and Multan, using the already deployed Broadband Networks in the region. 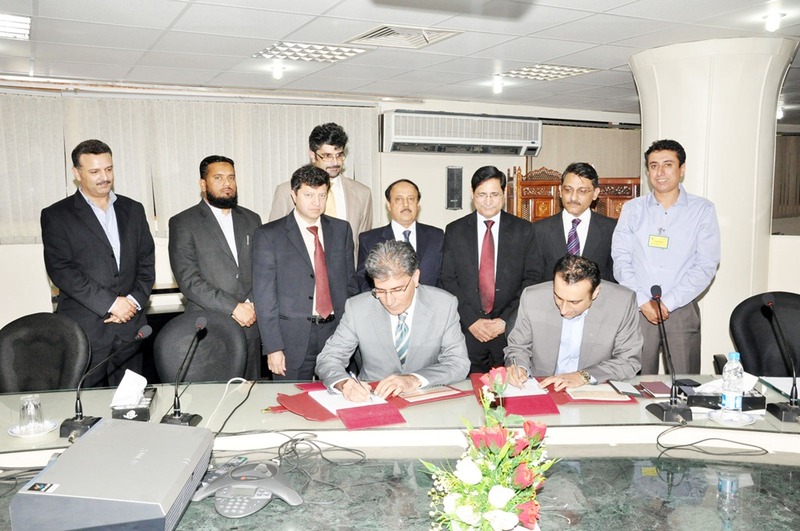 The contract between Oratier Technologies and USF was signed by CEO-USF, Parvez Iftikhar and Director (Projects) Oratier, Zia ul Islam on Wednesday in the presence of Federal Secretary IT, Mr. Saeed Ahmad Khan at the Ministry of IT. The project was approved by the Board of Universal Service Fund, in it's 25th Board Meeting chaired by the Prime Minister in his capacity of being the Minister of IT. The Prime Minister directed that steps should be taken to also include flood stricken districts like Nawabshah, Mirpur khas, Umerkot and Sanghar in the telemedicine network. Inclusion of cities of Bahawalpur, Rahimyar Khan, Rajanpur, DG Khan, Qadirpur, Shuja’abad Mianwali and Kharian is also being planned. Through the project signed today, USF aims to demonstrate that the optic fiber and the broadband networks being funded can easily be used for providing e-healthcare facilities. Jinnah Post Graduate Medical Center- Karachi, Nishtar Medical College-Multan and Holy Family Hospital-Rawalpindi will be connected with 12 remote sites to set up three pilot telemedicine networks. Remote sites in the pilot project include Thatta, Dadu, Badin, Nowshehro Feroz, Chakwal, Talagang, Murree, Domail, Vehari, Khanewal, Lodhran and Muzaffargarh. Each of these remote sites will provide facilities of digital stethoscope, digital derma-scope, portable ultrasound, digital ECG and customized telemedicine software to the patients at their hometowns including video consultations with the specialists sitting in the three main hospitals. As for the rest of the USF programmes, in broadband program, 256 previously unserved towns now have more than 334,000 USF-funded broadband connections. Subsidy winning service-providers are obliged to provide free broadband internet to all higher-secondary schools, libraries and colleges in their areas. So far 943 such educational institutions have been covered. In Optic Fiber Connectivity Program, 3,630 Kms of Optic Fiber Cables have been laid through subsidy contracts which will connect 102 unserved Tehsils with 6,523 kms of cables, mainly in Balochistan. To take broadband internet to the villages, USF has launched another Program. A pilot project of that program is also under implementation aiming to bring the most modern e-Services through broadband, down to the village level. At this occasion, Secretary IT said that with such constant efforts, Ministry of IT will undertake more programmes in the future for the promotion of telecom related services. He said that he is also positive that this Fund will keep serving as a source of inspiration for everyone. He further said that Ministry will keep intensifying its efforts to promote ICTs for the sustainable technological development and prosperity of the country in the future as well. Apart from Secretary IT, Additional Secretary IT, Mr. Nadeem Ashraf, Member Telecom, Dr. Ismail Shah and other high officials of the Ministry of IT and Universal Service Fund were also present. Pakistan Telecommunications Company Limited (PTCL) has won the international SAMENA Award 2011 for being the "Best Telecom Landline Operator in South Asia", said a statement issued by the organizer. CEO & President PTCL, Mr. Walid Irshaid accepted this acclaimed honor on behalf of his company at the annual SAMENA 'Convergence to Doha' summit held in Doha on November 1-2. PTCL has been "quickest to offer new products and services, and is a provider of Triple-Play, Quad-Play, 3G and advanced Value-Added Service (VAS)," read SAMENA's official citation for the Award. "PTCL's Broadband and IPTV have the most advanced VAS for fixed line telco as per global trends. With its offering of both services, PTCL's profile as a service providing operator in the region of South Asia is very rich." PTCL's SAMENA Award has been certified by Crowe Horwath, the leading global accounting and business network, on the basis of its internationally recognized standards of business. "The SAMENA Award 2011 is another historic milestone for PTCL in its continuing journey of technological progress and business achievement," said CEO & President Mr. Irshaid on the occasion. "It is a result of the brilliance and hard work of all PTCL employees who are busy bringing the best of innovation and service to our valuable customers. I also extend my sincere gratitude to the millions of PTCL customers who have made this award possible because of their continued faith and trust in our services." This year's Award is PTCL's second consecutive win at the prestigious global SAMENA annual forum. In 2010, PTCL had won SAMENA's "Best Fixed Operator Award" in recognition of its competitive market edge and impressive growth.